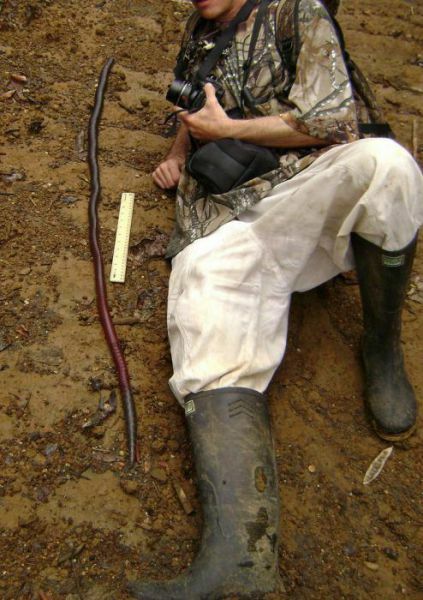 Giant Gippsland earthworms live only along the river banks and near the hills of Southwest Gippsland, Australia. 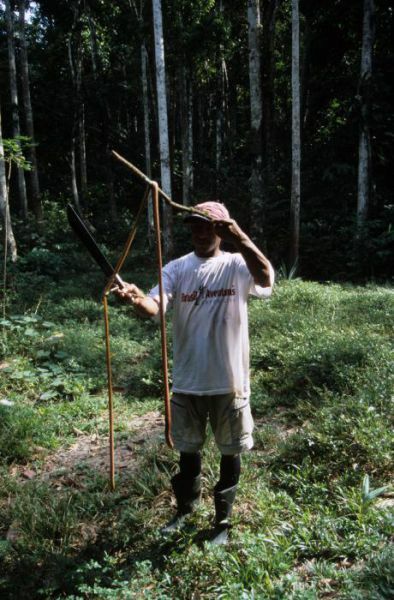 Their average length is 1 meter, but the longest known specimen reached incredible length of 4 meters. 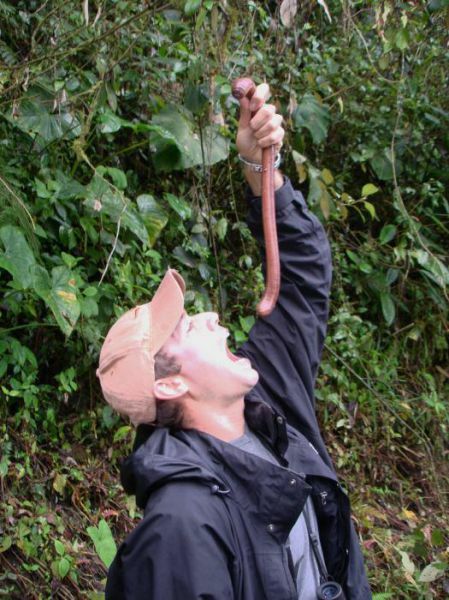 The worms live rather long as for invertebrates – it takes five years for them to reach maturity. 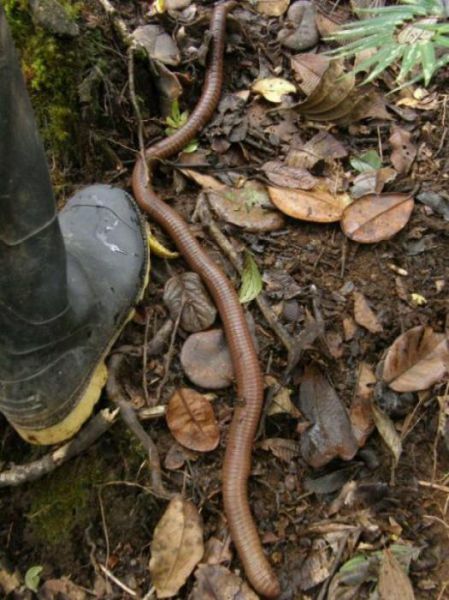 They lay eggs in large cocoons and once the worms hatch they are already 20 cm long. 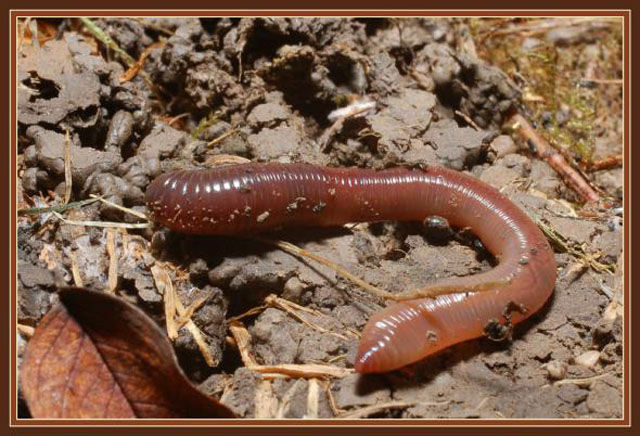 Giant Gippsland earthworms live underground in deep burrows moisturized with special secretion and leave their tunnels very seldom. Living in moist conditions is essential for them as they need water to obtain oxygen. 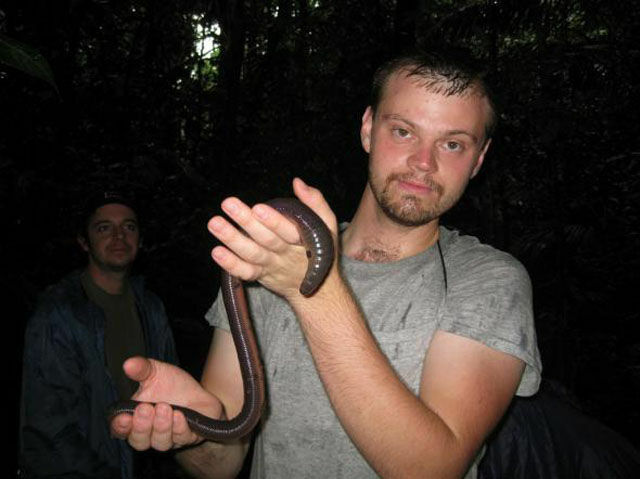 Now these worms are in danger of becoming extinct and are protected by the Australian Government. 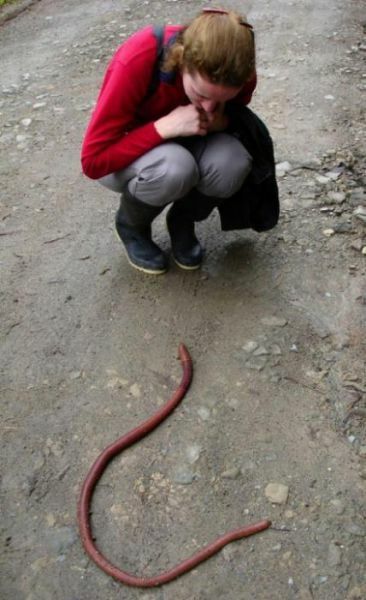 More pics of Giant Gippsland Earthworm after the jump.